Volvo Car Canada Ltd. delivered 7,102 vehicles in 2017 compared to 6,103 the year prior, which represents an increase of 16.4 percent. What's more, with 668 vehicles sold in December compared to just 433 sales in the same month of 2016, deliveries are up 54.3 percent. In total, Volvo has enjoyed twenty-seven consecutive months of year-over-year sales growth. "We are thrilled with the double-digit growth of the Volvo Canada brand in 2017," said Alexander Lvovich, Managing Director, Volvo Car Canada Ltd. "The XC90 continued to account for our best-selling model, but sales of the all-new XC60 and its predecessor were also significant contributors to 2017 sales." The XC60 found 2,315 buyers in 2017 compared to 1,526 in 2016, representing a 51.7 percent year-over-year increase. This said the updated XC60 was only introduced last summer, which means a full 12 months of sales should result in a much bigger impact this year. Deliveries of the S90 mid-size sedan were also strong throughout 2017 at 784 units, after Volvo delivered just 101 in 2016, but the former low number was only because the S90 arrived toward the end of the year. This said when combined with sales of the S80 it replaced, which totalled just 23 units in 2016, Volvo shows 532.2 percent growth in this segment alone. The all-new V90 mid-size wagon and its raised crossover-style V90 Cross Country sibling were only available partway through the year yet still managed to total 444 units (103 for the V90 and 341 for the V90 CC) over the year, which is roughly double 2016's XC70 sales. The XC90 mid-size SUV, which ushered in Volvo's metamorphosis in 2016, remained strong at 2,650 units last year, and while this wasn't quite as strong as the 2,951 sold in 2016 sales were no doubt by the aforementioned XC60 and V90 Cross Country, while it's also common for a redesigned model that follows a predecessor which endured an unusually long life-cycle to experience strong initial pent-up demand. Volvo wasn't the only brand to experience an uptick in sales last year, the entire Canadian automotive industry having improved 4.6 percent over 2016, marking the eighth consecutive year of sales increases since 2009 and the first time more than 2 million units have been sold over a given calendar year. Of note, out of 2,038,798 total vehicle sales, light truck sales, which include crossover SUVs, grew 8.7 percent to nearly 1.4 million units in 2017, while passenger car sales fell by 3.4 percent to about 640,000 deliveries, which was their lowest level since 1964. This year-over-year growth came despite a tapering of sales in both November and December, which saw declines of 1.1 and 1.2 percent respectively. How this bodes for 2018 is anyone's guess, although Volvo will probably still experience an upturn due to the entirely new XC40 subcompact SUV arriving in March, plus the redesigned S60 and V60/V60 Cross Country scheduled for summer's end. "With the arrival of the XC40 this March, and two more models launching in the second half of the year, our brand is poised to have a strong 2018," added Lvovich. "We would like to thank our retailer network for their efforts and their commitment to customer satisfaction throughout the year." When the XC40 and D-segment models arrive later this year, Volvo will have completely redesigned its entire model range and bolstered its ranks with a fresh new entry. Along with a completely new brand-wide design language that's been almost universally praised by industry pundits and customers alike, the Swedish automaker has one of the more innovative approaches to powertrains in the auto business. No matter the vehicle offered, the same fuel-efficient turbocharged and direct-injected 2.0-litre four-cylinder gets installed, although when moving up through the trim lines it either gets additional supercharging to move performance from 258 horsepower to 316, or a plug-in hybrid system that cranks out 400 horsepower and can also drive about 50 km on pure electric propulsion alone. On top of all this, Volvo's interiors are some of the most luxurious in the premium sector, its new tablet-style infotainment system is winning awards for functionality and user-friendliness, its advanced driver assistance and active/passive safety systems are some of the most advanced available, its prices are very reasonable for what you get, and the list goes on. Needless to say, there are plenty of reasons backing up Volvo's recent sales success. 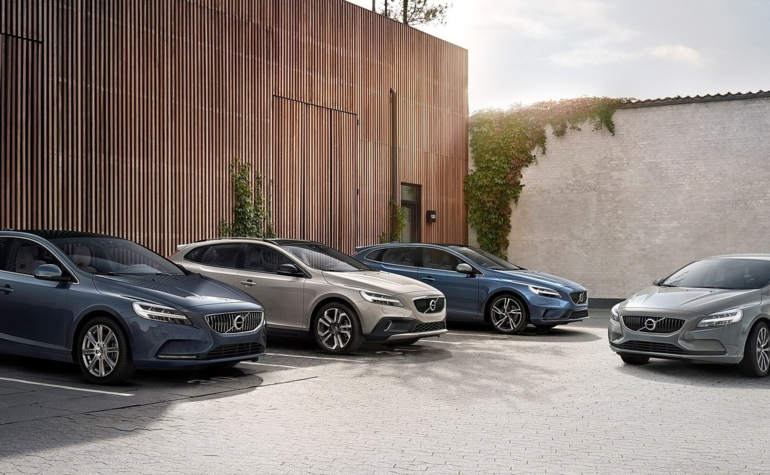 To learn more about Volvo's exciting new 2018 model lineup, contact Volvo of Vancouver by calling 888-454-4165 locally, 888-485-1879 toll-free, or drop by the showroom at 8530 Cambie Street, just behind the new Marine Drive Skytrain Station and new Marine Gateway urban centre between Cambie and Yukon streets.